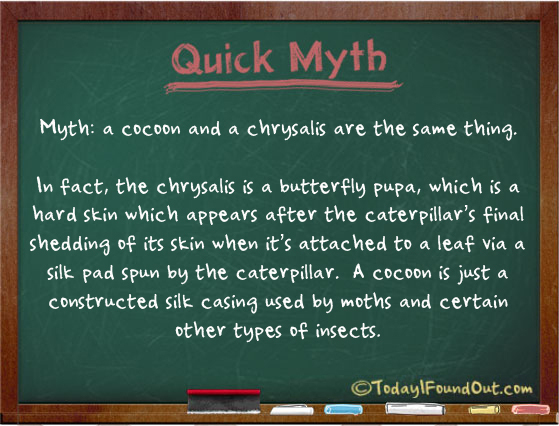 Myth: a cocoon and a chrysalis are the same thing. In fact, the chrysalis is a butterfly pupa, which is a hard skin which appears after the caterpillar’s final shedding of its skin when it’s attached to a leaf via a silk pad spun by the caterpillar. A cocoon is just a constructed silk casing used by moths and certain other types of insects.